Jack and Annie are ready for their next fantasy adventure in the bestselling middle-grade series-the Magic Tree House! "Where are the lions?" 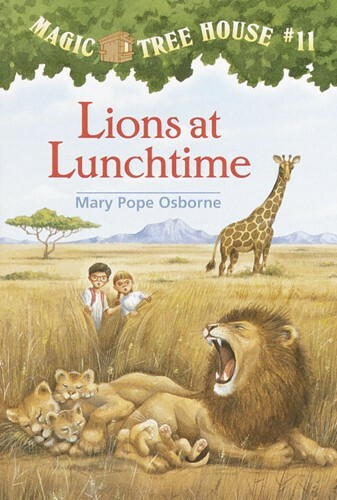 Jack wonders when the Magic Tree House whisks him and his sister to the vast plains of Africa. Before he can find out, Annie starts to help hundreds of wildebeests cross a rushing river. Next they follow a honey of a bird and meet an awesome Masai warrior. Jack hopes any lions will just stay away. Jack is about to be very disappointed . . . Visit the Magic Tree House website! MagicTreeHouse.com From the Trade Paperback edition.